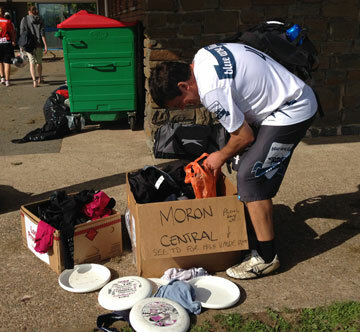 Please use the bins provided! 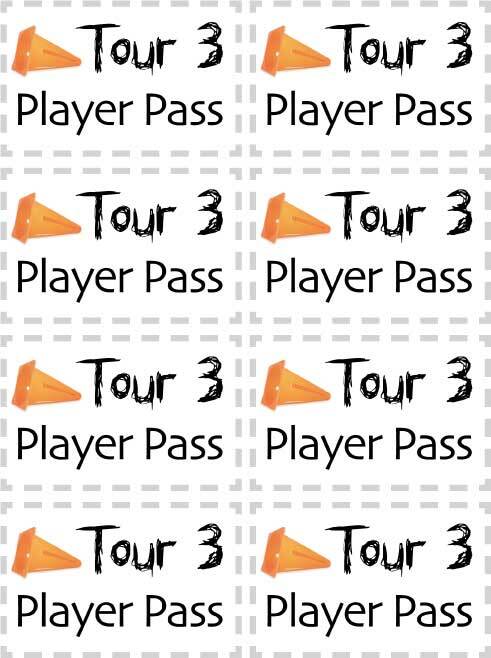 Players pass: If you have a smart phone, you can just show them the pass on the screen. There will be food available around the club house. Photos are posted on the UKU FaceBook page. If you see something of yours, please claim it in the comments. If I can bin it let me know! Everything claimed will be taken to Tour 3, Nationals or Glastonbury (choose one). Claimed items will be left with the other lost property at these events in a box labelled 'Tour 2 Lost Property'. If you really need stuff mailed within the UK let me know, but it will cost you at least £15! Any items unclaimed will be disposed of as I see fit - probably taken to my local training and given away to players, or just chucked in the bin. There will be a physio and First Aid at the club house. Min site: although the site is fenced and there will be staff on the gate, we recommend that you keep valuables locked away and safe. Some stuff went missing at Student Nationals (2006) at this venue. If you are not planning on camping, you should try to book your accommodation as soon as possible.